Last night I walked into my den and saw my eight-year-old daughter on her computer writing what seemed to be an email. I figured she was replying to an email from Grandma or an Aunt and Uncle, so I sat down to write some stories as I usually do. After a few moments she asked, “Daddy, what is Santa’s email address?”. I paused a moment, and politely said I didn’t know, then proceeded to ask why she was emailing Santa instead of writing a letter. Her reply, “Email is faster, and the post office is not very reliable.” Fair enough, so I found an email address for Santa. As I was scouring Google for Santa’s email address I couldn’t help but wonder when kids stopped mailing letters to Santa and went high tech. Then I found a less publicized program from AT&T to bring families closer to the Santa experience through technology. 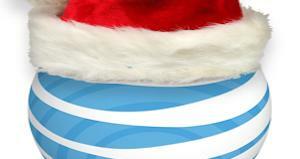 AT&T’s holiday texting campaign and the AT&T U-verse TV Santa Tracker app have been brought back for another year. Between now and Dec. 24, AT&T’s wireless customers can text “SANTA” to 1224 and receive greetings from the one, and only, Santa Claus. Not only will they get a text message from the jolly old elf, but the text asks them to respond back with their Christmas lists. Santa will then respond with yet another message creating a text conversation that the kids will certainly go nuts over. In keeping with the giving spirt of the season, the entire text conversation is free. The Santa Tracker app is also free to all AT&T U-verse TV customers whom also subscribe to AT&T U-verse High Speed Internet. In the past I have been very critical about companies gouging their customers and bleeding every penny out of them for their goods and services. I must say, this small olive branch extension makes customers feel appreciated and cost the company virtually nothing. My family and I will be texting Santa in the next couple of days, and will look forward to both my daughters explanations as to why digital media to Santa is better than physical letters. I’m sure it will bring a smile to our faces. I have to agree the Post office can be unreliable, but I think we will still sit down as a family and write letters to Santa, if for no other reason than nostalgia. 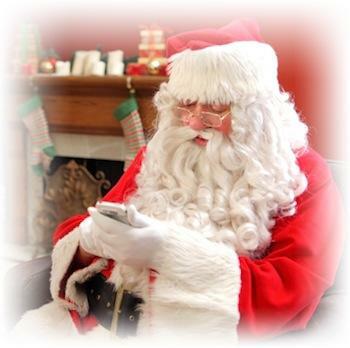 Let me know if you end up texting Santa via AT&T along with your experiences.